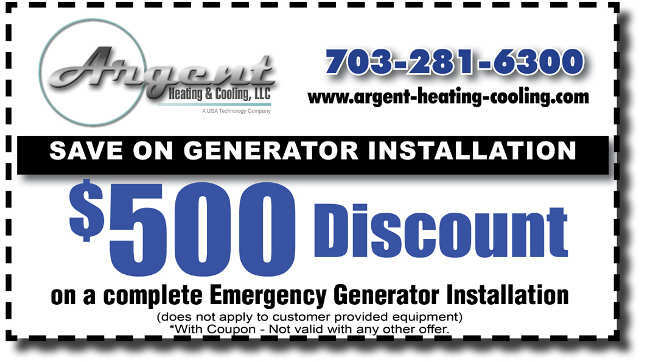 Argent Heating & Cooling, LLC is a value-added service company providing HVAC and related services to residential and commercial customers in the Washington DC Metropolitan Area. We are proud to be a subsidiary of USA Technology LLC, a management company focused on delivering service solutions to residential and commercial customers. USA Technology provides strategic, financial and administrative support to its operating units. Our Name May Be Silver, But Our Service is Golden! For over 30 years, Argent’s principals have recognized the need for efficient, economical and reliable HVAC systems. For these 30 plus years, Argent’s principals have been providing design and installation services to a wide range of clients in the metropolitan area. Due to the company’s vast experience and highly trained technical workforce, we are skilled at innovative applications that solve our clients’ aesthetic and system needs. We are aware of the importance of properly integrating new systems into existing structures. To that end, we excel both at new construction custom homes and restoration projects. Argent is proud to serve the indoor comfort needs of the greater Washington DC area. We are committed to our craft, exceeding customers’ expectations, and serving the local community. The way we make a discernible difference is with our passion for the services we provide. We are not simply an HVAC contractor. We are a company committed to the people we serve, the employees who serve them and the business associates who assist us in our work. Every employee is empowered to do the Right Things Right. Energy: We design our systems to maximize energy efficiency in your home, keeping you more comfortable and saving you money. Health: We keep you healthy with air quality solutions such as promote filtration, abatement, mold removal, and air purification. We provide the highest-quality service and products so you can be sure you’re receiving the best care possible. We even offer free estimates and free second opinions. Our technicians service all makes & models of heating and cooling equipment, and we accept all major credit cards. We are proud to honor our troops and provide a 10% discount on all parts, labor, and services for active military service members, veterans, and retired service members. To learn more about our services, call us today at (703) 281-6300.